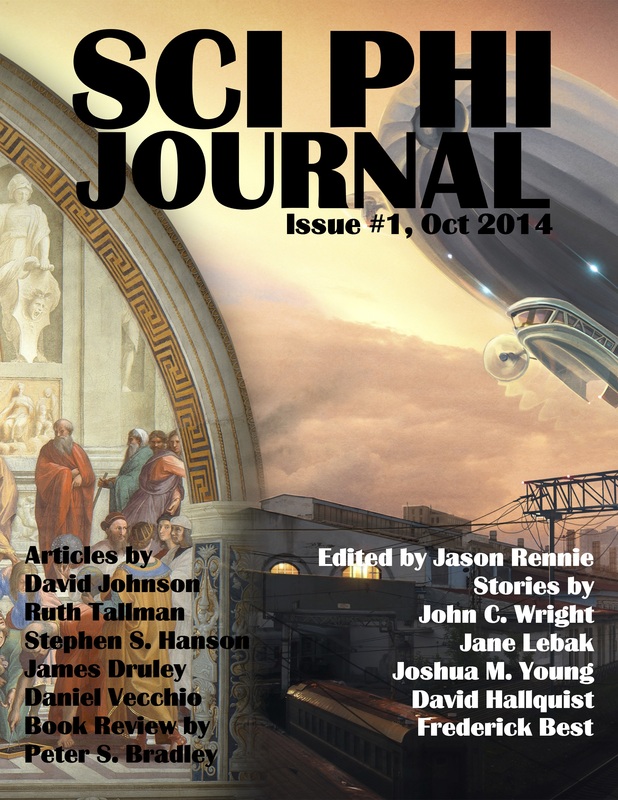 The following is an interview with Jason Rennie, editor of Sci Phi Journal. How frequently is Sci Phi Journal published and where can the issues be found? Currently the plan is to try to do monthly publication, but I may move to every 6 weeks. The main issue is money, I pay for the stories (5c a word plus 5c a word bonus if we sell 5k copies in 90 days), but currently the magazine is still running at a loss. If I can get the magazine to at least break even you can expect to see it come out monthly.It is available through Amazon, Castalia House and Smashwords in Kindle, MOBI, EPUB and PDF. To your mind, what makes the short story a “philosophical” story suitable for the magazine, as opposed to not? Doesn’t almost every good science fiction story ask some of the fundamental questions about the nature of existence and mind that are typically associated with philosophy? Every good science fiction story will ask questions of a philosophical nature because philosophy is the “love of wisdom” and it seeks to ask the big questions of “life, the universe, and everything”. So anything potentially is a good candidate. I got started doing Sci Phi stuff as a podcast (http://sciphishow.com), but that show tends to use movies and television for its inspiration. I think the particularly philosophical sci phi tends to have a “big idea” in the background that the characters are interacting with, or struggling with, as opposed to stories about what the characters are up to. I guess it can be difficult to explain. If you could discover and publish any one science fiction story first, what would it be? I think I may already have done this. In Issue #1 Josh Young sent me the story Domo and on the strength of the story a small publisher asked for his contact details and is working with him to publish a collection of his short stories and a novel. It was exciting that I was able to be part of making that happen. It would be great if I could repeat that. It is always a good feeling when you can be a part of that. What other authors and stories or novels are among your favorites? Whose work would you love to feature in your magazine if you could? So many to choose from. One of the most “sci phi” authors I’ve ever read is Robert J. Sawyer, and I’ve interviewed him in the past and approached him about a story but he doesn’t do shorts anymore, sadly. There are lots of authors whose work I love, it is so difficult to narrow it down. I’ve approached a few different “big name” authors and have met with some success. John C. Wright has been in both issues so far and it was good working with him.I really enjoy the work of Joe Haldeman, Larry Correia, Mathew Mather (Atopia Chronicles is perfect sci phi), I’m sure I could just go on and on.Probably my all time favorite series is by the author Harry Turtledove, his World War and Colonization series of books is among my favorite of all time. I’ve enjoyed a lot of his other stuff too, but that is the book series I recommend to everybody. I should approach him about writing something, it can’t hurt to try my luck, can it? Your guidelines ask for stories of 1000+ words, yet flash fiction seems (to me) like the perfect medium for the sort of stories you might want. Why did you choose not to consider flash? I’m actually willing to consider pretty much anything. A few authors have approached me about shorter and longer pieces and I’ve bought one of them so far. I should probably amend the guidelines, I’m still learning how to do all of this. How about humor? Would you consider a funny story for publication? I think I would. I have a piece coming up in Issue #3 or #4 that had me laughing the whole way through. Comedy can be difficult to write and I’m guessing mixing comedy and philosophy might be tricky, but if someone reading this succeeds I’d love to take a look. How strict is your definition of “science fiction”? Would you consider fantasy or slipstream stories? My definition of “science fiction” is probably about as loose as you could imagine. I’m not sure how well fantasy as a genre will lend itself to the philosophy part of the equation but there is no real restriction on submissions. The philosophy component is more important than strict genres I think. I think science fiction, broadly understood, lends itself well to the sort of thought experiments that make something sci phi. It is a loose restriction though. What rights are you asking for when you buy a story? (Length of the period of exclusivity, audio rights, etc.)? 12 months exclusive from publication date with an option to include it in a “Best of” collection in print or audio during that time. In the guidelines you ask for the Food for Thought questions to be included. Can you describe in a bit more detail what you’re looking for — should it literally be a set of questions? A short essay? And why not ask authors whose work is accepted to do this rather than asking all submitters? It varies from submission to submission. Normally the “Food For Thought” section at the end of a story is a short essay with some questions in it that make explicit some of the themes found in the story. I normally write the section myself but I have used ones authors have submitted. Where I have used them I have included them in the story word count. It can just be a paragraph or a few questions submitted with the story.The purpose of asking for it was to give me some indication as to the idea the authors was trying to explore. I usually read them before the story itself so I know what ideas to look for in it. It also indicates the author has considered this question before submitting. The questions submitted probably won’t be used directly in most cases but they do provide insight into the story being told and make it easier for me to assess the story for fit for the magazine. What made you decide to launch this publication? Have you been involved in the industry previously as either an editor or an author? I’ve been doing a podcast called The Sci Phi Show on and off since 2004 and this originally started as a spin off idea from that. I’ve only ever been “in the industry” as a reader until this. 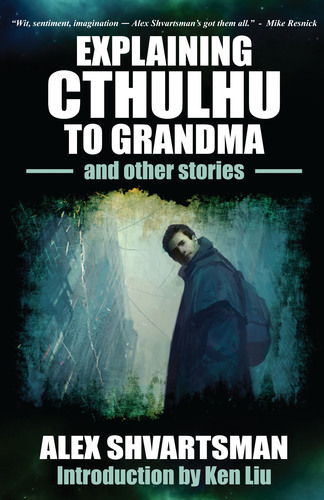 I did try this idea a number of years ago and sold a total of 7 copies, it sort of killed the idea dead at the time, but it seemed worth trying again.I’ve tried writing short fiction in the past and I’m horrible at it. I should probably stick to editing. I’m still learning an enormous amount but it is fascinating and I’m enjoying it. Does the fact that you’re based in Australia make any part of your job running the magazine more difficult? Easier? Or is it largely irrelevant in the Internet age? It probably matters in ways I don’t recognize yet. I’d like to go to conventions and meet people and that sort of thing and all of the big ones are a long expensive plane ride away. So Australia is a problem for doing things in person, but other than that it isn’t really a difficulty except for timezones.Thanks to the internet and e-books the barriers to entry as a publisher are so low and publication and distribution are so easy that I don’t think there is any great hurdle there. What are you excited about most in regards to Sci Phi Journal in 2015? Excited or nervous? The magazine is still getting up to speed and I hope to get to the point of breaking even or better. As strange as it might sound, the most exciting prospect is having to declare the magazine as a source of income on a tax return. That sounds rather mundane, but it would indicate that the magazine is running at a profit and people are enjoying it. What more could I want?I hope to keep publishing interesting stories and I have some ideas for some “value added” stuff for the magazine that I would like to try. The whole thing is still a big experiment and a learning opportunity at this point, so perhaps the most exciting part is that it is still all an adventure.